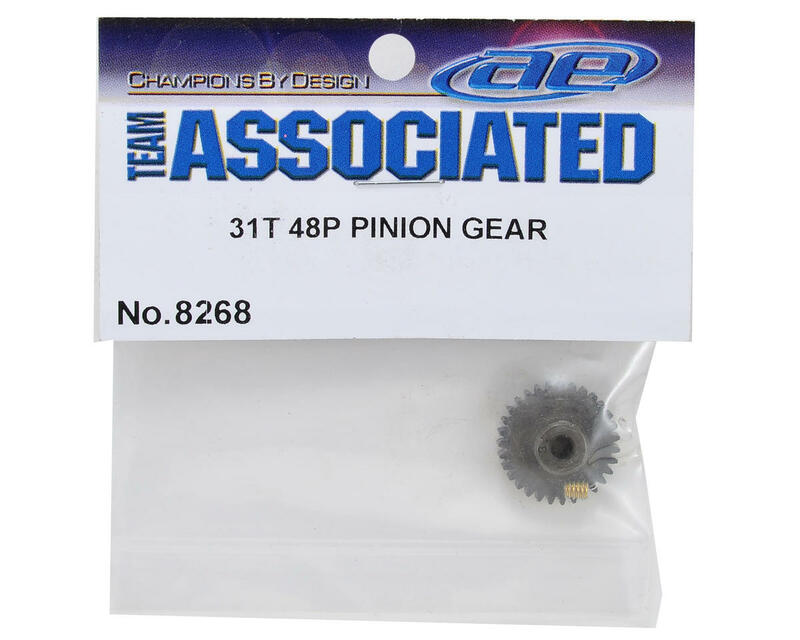 Team Associated 48 Pitch Pinion Gear. 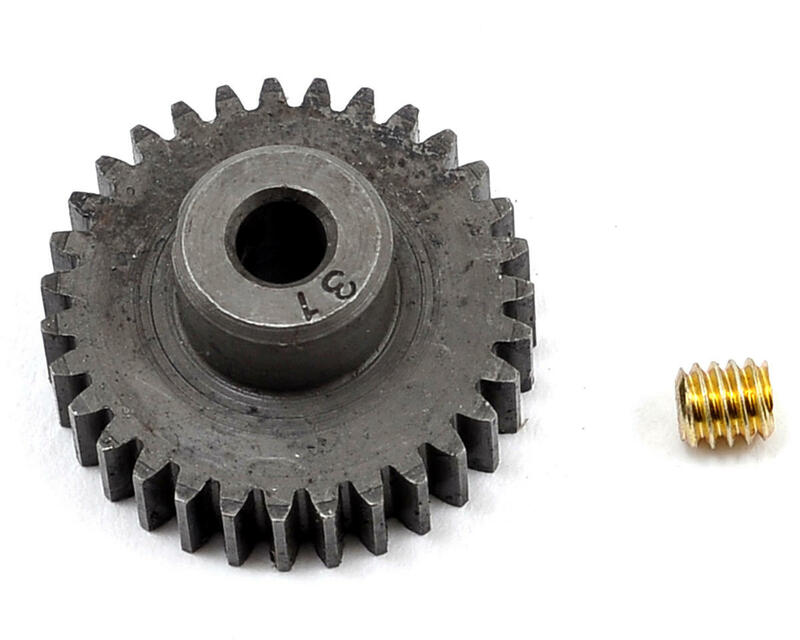 This steel pinion gear is available in 16 through 35 tooth, and is a durable option for any vehicle that uses a 48 pitch pinion/spur. Package also includes one set screw.